The US Airways® Premier World MasterCard® is now offering 50,000 bonus miles after first purchase and the payment of an $89 annual fee. This is the best offer I’ve ever seen on the card, and by far the easiest 50,000 point sign up bonus to earn. I consider US Airways miles to be the most valuable airline miles because the US Airways award chart is so cheap, and the routing rules are so lax. From the post “Comparison of United, Delta, US Airways, and American Airlines Latest Award Charts,” here is a comparison of roundtrip Business Class award prices from the United States. The consistent blue numbers in the US Airways column explain why I value the miles more highly than United, Delta, and American miles. If you have a chance to use the US Airways miles in the next few months, you can take advantage of these amazing prices. If you don’t, US Airways miles will be converted to American Airlines miles on a 1:1 basis between April and June 2015. Many people are getting The US Airways® Premier World MasterCard® and the miles in anticipation of the miles becoming American Airlines miles, trying to create a large balance of American miles. American Airlines has the second best chart in my opinion, behind only US Airways, and American Airlines has committed to NOT devaluing its chart in 2015 at the time of integration with US Airways miles. US Airways miles can be used on any oneworld alliance member. My favorite uses would be for premium cabins on Cathay Pacific, Qatar, and Qantas. Here are all the places you can go with the sign up bonus. Also receive 10% of your redeemed miles back, up to 10,000 annually. That 10% of redeemed miles up to 10,000 miles back annually is a huge benefit that I take advantage of. Unlike past versions of this card, I do not see anywhere mentioned that it comes with a 5,000 mile discount on awards entirely flown on US Airways planes. That’s a shame to lose, but the 10% of redeemed miles back is probably better. Can You Get This Card? This card is separate from, and even offered by a separate bank as, the Citi® / AAdvantage® Platinum Select® MasterCard®. Whether you have an American Airlines card is irrelevant to whether you can get The US Airways® Premier World MasterCard®. Many people have gotten both, even on the same day. If you have had The US Airways® Premier World MasterCard®, you may be able to apply again and get the bonus again. My friend got three bonuses recently. People tend to have more success if they don’t currently have a US Airways card open when they apply for a new one. Share your application experiences in the comments. Oneworld alliance is very weak to Africa, but strong to Asia, Latin America, and Europe. If you can use the miles in the next few months as US Airways miles, you can find space on South African Airways flights to Southern Africa, so that’s an exception to the general rule not to get these miles if you want to go to Africa. What Will Happen to This Card Next Year? When the US Airways Dividend Miles program ends and your miles become American Airlines miles, this card will begin to earn American Airlines miles. I’ve never seen such a large publicly available offer on The US Airways® Premier World MasterCard®. 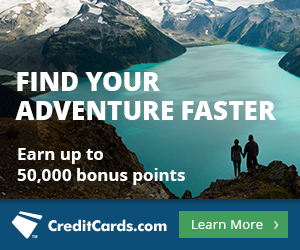 Right now you can earn 50,000 bonus miles after first purchase! I recently (less than 2 months) received this card with the 40k mile offer. What is the likelihood of getting them to match the 50k offer? Anyone try? If so, via what avenue? You can contact them online. I have never heard of Barclaycard matching bonuses, so I don’t think it will work. Let us know what you find. Thank you! Just applied through your link. Always call and ASK it costs nothing BUT Beee nice I got a couples of freebies . For some odd reason they likes mes. I received the 40k mile offer about a year ago. It has been cancelled since then, and I current have the Barclays Arrival and Frontier Airlines Card. 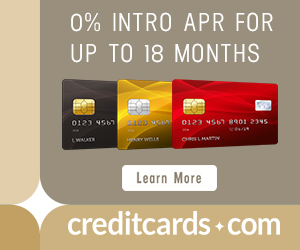 What are the guidelines for receiving this offer again before the card is discontinued? “Guidelines” are not published. Click the link in this post about my friend getting the bonus three times. I don’t think you’d have a problem getting approved on a new app but YMMV. I called and was told that they couldn’t change the terms of my offer. I asked (nicely) if there was anything she could do and she said that she could give me 5k miles as a courtesy. 5k is better than zero so I happily accepted and thanked her. For all you who are wondering about being a previous or current card holder…. I have a USAirways Mastercard that I got mid 2013, I just finished a phone application and my application was approved. Before proceeding with the phone app, the agent specifically told me that I could qualify for multiple cards. All depends on credit worthiness, outstanding credit, etc. And you don’t even need to do a phone app. Same reports I’ve gotten for online apps. Thanks for the info. New to this all, but Patrick, I think I’d be in the same boat as you (cardholder since mid 2013…). Can you go into a bit more detail about what you did/what you now have? You now have two of the exact same credit card and 50,000 new miles? How long do you plan to hold onto the new card (are there restrictions? ), or will you cancel your old one soon? Trying to figure out the best course of action to take advantage of this. Thanks for any help. My wife has the 40k bonus US Airways Card & Citi AA 50k card. I’m sure you know the logistics of transferring miles from one account to another. Please let me know your thoughts. Is the companion certificate transferable? What about the 10k elite qualifying miles on the 40k version of this card; is this still included? I got the US Airways card 3 months ago and still have it. If I get another one will I receive the bonus miles? I just got the 40k in October and it is obviously still open. Do you think I could apply for this new offer and get another card w/ the 50k bonus? Do you know how long this offer is running for (i.e. when will it revert back to the standard 40k pts)? Thanks. Do the $99 companion passes only work with PAID tickets, not ones received with miles? How long do promo like these usually go for? Ideally I would like to wait till Feb 1st (90 days) to open this up…but don’t want to miss out on this promo. What do you advise I do? I really don’t know. I hope this lasts until the card is no longer available to new applicants (sometime in April – June.) But I really don’t know. Had the 40k last year. Cancelled recently. Applied thru your link and accepted immediately. Thanks. Great to hear it. Enjoy the miles! Just opened a new card recently, called today and they were able to match the 50k signup. Hooray! Got the 50k offer with the 10k annual bonus a year and a month after getting my last one. And another citi card so another 100k easy. Apparently you have to have “Preferred Status” within the Dividend Miles Program at USAIR or you will be denied. 100% not true. I do not have any status with US Airways. Exact text from the letter: “Thank you for your recent application for the US Airways Dividend Miles Credit Card. I’m not sure which link you used but the links on this blog for 50,000 miles do not require elite status. I’d call in and follow up. Great. So you know, all credit card offers in this post have expired. Click here for the top current credit card sign up bonuses.